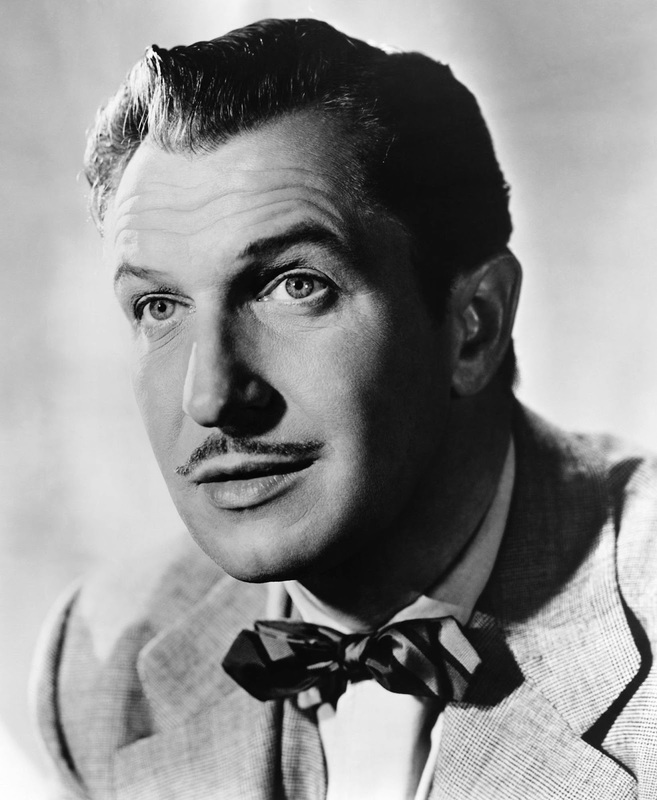 Imagine a dozen voices singing "Happy Birthday" in a sepulchral, raspy Vincent Price voice. Vincent Leonard Price, Jr. was born on this day in 1911 and would forge a career in broadcasting, television, and film. The gothic ghoul who oozed cool graced the airwaves of such programs as Lux Radio Theater, Suspense, Escape, and Hollywood Star Playhouse. Check out the titles of the programs brought to life by Price's mid-century appearances on Suspense: "Fugue In C Minor," "Hands of Mr. Ottermole," "Rave Notice." He also starred in literary chillers "Occurrence At Owl Creek" and Poe's "The Pit and the Pendulum." The Yale-educated Price started his acting career in Broadway and didn't waste much time busting into film, starring in the 1953 flick "House of Wax" alongside Frank Lovejoy and Phyllis Kirk. Price may be the only person born today who has won a "Grim Reaper Award" and who is a member of the Horror Hall of Fame. A scary and horrific birthday to you, Vincent!